Brunch & Learn: Do the Research. 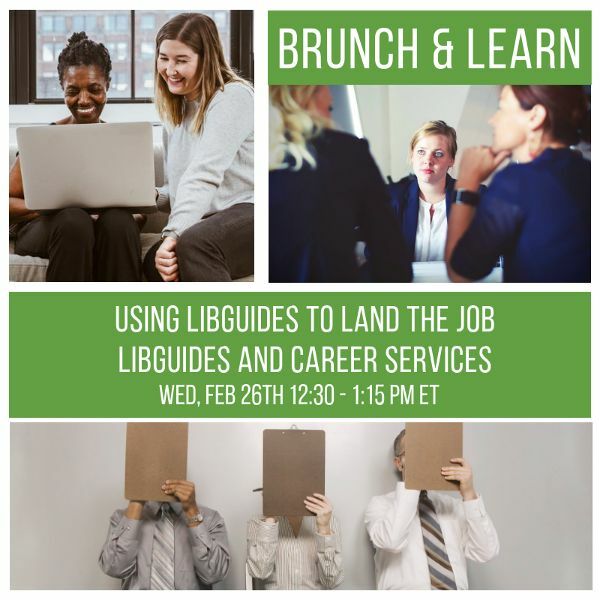 Land the Job with LibGuides! Help students make the leap from business/company research to interview prep in three easy steps. Many colleges have databases and other resources to help students learning about companies for academic reasons. See how George Bergstrom, Regional Coordinator of Professional Development, Indiana State Library, created custom guides for career fairs and the companies in attendance to help students learn as much as they could before stepping in front of a recruiter.